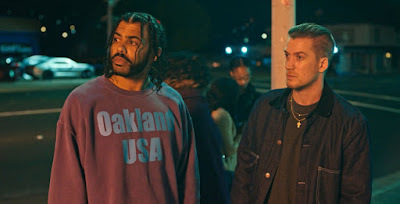 Real life, talented (Diggs is a Tony-award winner for a dual role in Hamilton) (and Casal is a rap poetry savant) life long Oakland buddies play modern day Oakland buddies in Blindspotting. The result is modern day spot on and, thanks also to first time director Carlos Lopez Estrada, extremely entertaining. Ciwt thinks (city) people, go see it.